Canine enlarged heart is the most common cause of canine congestive heart failure, especially in large and giant breed dogs. Dogs with an enlarged heart usually tire easily and cough (mostly after exercise or at night). Read on and learn more about other symptoms, possible causes, and treatment of dog enlarged heart. Canine enlarged heart is medically known as dilated cardiomyopathy. It is a disease characterized by an enlargement of both the upper and lower chambers of the heart. Usually one side is more seriously affected than the other. When the ventricle is enlarged, it becomes more difficult for the heart to pump blood into the lungs. As a result, fluid starts to accumulate in the lungs. An enlarged heart also results in the walls of the heart becoming thin. This causes the heart muscle to weaken. Eventually, the heart begins to fail. Canine enlarged heart is the most common cause of congestive heart failure in large and giant breed dogs. Small and toy breed dogs rarely have this heart issue. Age-wise, most dogs are around 2 to 5 years of age at the onset of symptoms. Males are more prone to canine enlarged heart than females. 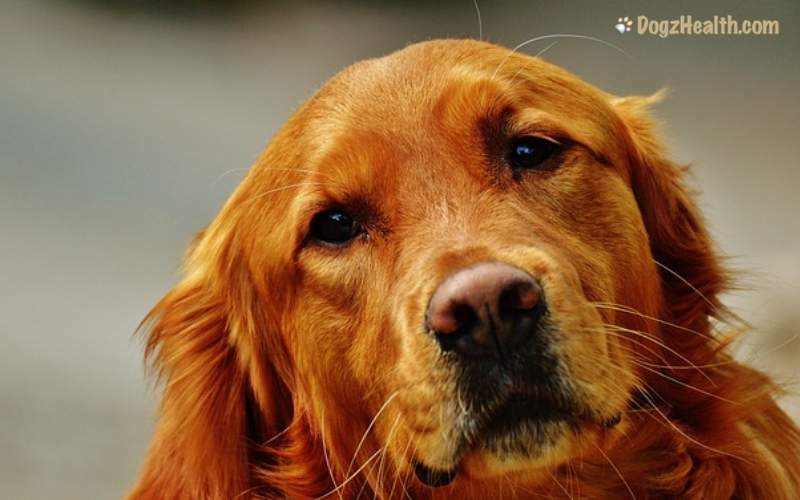 Studies have shown that some cases of hypothyroidism in dogs can be a cause of dilated cardiomyopathy in dogs. Myocarditis is the inflammation of the heart muscle. Infections (e.g. bacterial, fungal, viral) are the common causes of myocarditis. This condition sometimes occurs before dilated cardiomyopathy finally develops. A deficiency of taurine and/or carnitine may lead to canine enlarged heart. 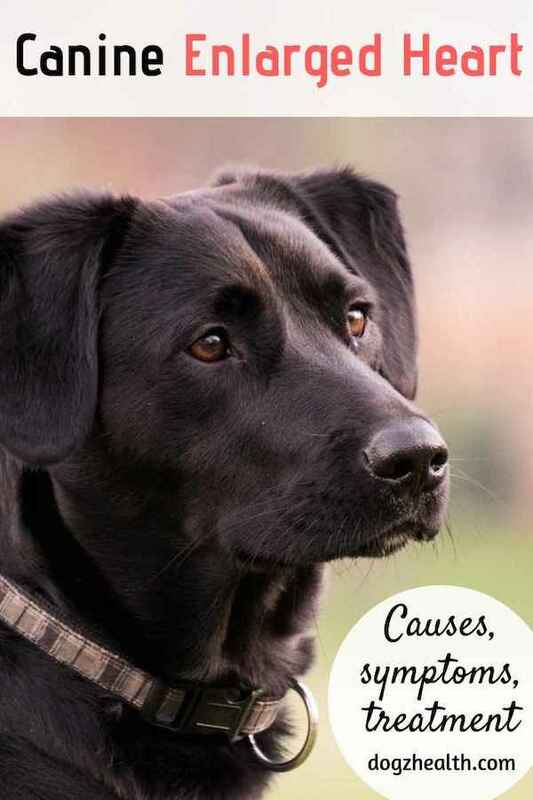 This condition is more common in certain breeds, such as American Cocker Spaniels, Boxers, and possibly Golden Retrievers, Newfoundlands, and others. As mentioned above, large and giant breed dogs are genetically predisposed to this disease. Chest X-rays: By looking at the x-rays, the vet can see if the heart chambers is enlarged. ECG: Changes in the ECG means the dog has cardiac arrhythmias, which is one symptom of an enlarged heart. Echocardiogram: By using echocardiogram, the vet can identify the characteristic pattern of a failing heart muscle. Vets commonly prescribe drugs such as the digitalis glycosides, and angiotensin-converting enzyme (ACE) inhibitors (e.g. Enacard, Fortekor) for dogs with dilated cardiomyopathy. These drugs enhance the force of heart contraction so the heart can pump more strongly and efficiently. Vets also use a number of drugs (such as digitalis, lidocaine, diltiazem, atropine, and propanalol) to control arrhythmias in dogs. Additionally, the vet may also need to use diuretics (e.g. furosemide) to prevent fluid buildup in the dog’s abdomen and lungs. In addition to medication, the vet may suggest putting the dog on a low-salt diet. 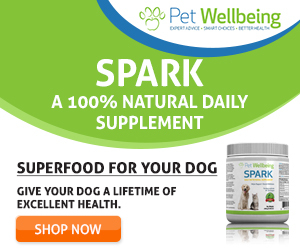 Certain supplements are also beneficial for dogs with heart problems. These include vitamin-B supplements and taurine and carnitine. Coenzyme Q10 is another supplement that can help dogs with heart disease. A good supplement for dog heart health to consider is VetriScience Laboratories- Cardio Strength . It contains L-taurine, carnitine, Coenzyme Q10 as well as minerals such as potassium, magnesium and selenium. They work together to strengthen heart function and reduce oxidative stress. Sadly, even with medication, a dog with an enlarged heart does not have a good prognosis. Generally, the prognosis is about 6 months to 2 years after diagnosis. If your dog is diagnosed with this heart problem, monitor his condition closely. Watch out for signs of stress on the heart, such as panting, coughing, shortness of breath, fainting, and so on. Do not allow your dog to engage in vigorous activities, or exercise for a long period of time.